Surge 2016 that brought together huge crowd from more than 70 countries, attracting different kind of individuals in different ways at its event that was spread for two days. Participants went back with unlimited takeaways, that shall lead to successes! Read on. Surge, that organized its summit in 2016 for the first ever time in India, had tremendous amount of support from people around the globe. Organizing such a large summit which had more than 5000 people attending from 72 countries, in a new territory was never an easy go. Details of the event happenings could be found at World's Largest Tech-based Summit steps into India - Surge 2016! 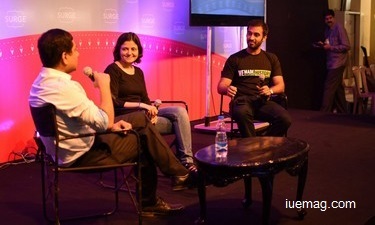 As shared earlier, Surge also became a platform for many startups to connect with the right investors and vice versa. 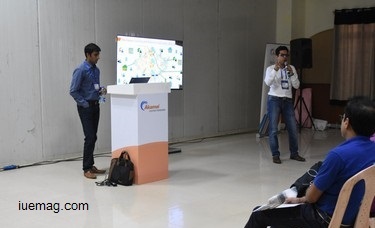 Aniruddha Nanivadekar, Co-Founder of InteliTaap Solutions said, “We have been trying to connect and collaborate with like-minded people. We had also scheduled meeting with an investor, who is now really interested to invest in our venture. He said that he was also looking forward to invest in such ideas. It felt proud to know that our idea sounded interesting to many others who got to know about our venture. Surge is surely a place to innovate, learn and implement”. There was much more that helped the startups pitch better. The workshops that were held by companies like Blume Ventures helped the startups understand how better they could present their ideas. Kanchan Sukhija, Founder of Compare Munafa stated, “Apart from the networking, meetings and the sessions, the workshops helped us understand what the investors would really want us to share. Some of us were given opportunities to pitch in front of the crowd. Many of them who were present, liked our venture’s idea and the way I pitched. It helped gain so much more confidence”. Sairee Chahal, founder CEO of Sheroes.in, who was one of the 130 renowned speakers at the event, mentioned, “Such conferences not only help us all come together, but also learn from each other. It’s really important for entrepreneurs to get such an environment”. Dewaj Baruah, COO of Arctron Mobility, which was chosen to be the startup that pitched the best said, “We have continued to work hard since last few years to make things happen. This was a great opportunity for us to prove ourselves. We will continue to solve big problems”. A lot of positive feedbacks overflowed and these were some of the unique ones that got noticed. The Summit left no stone unturned, while the organizing team learned from every part of the event and continued to think about making the summit even better and bigger for the next year. Any facts, figures or references stated here are made by the author & don't reflect the endorsement of iU at all times unless otherwise drafted by official staff at iU. This article was first published here on 27th February 2016.